Ceramic-top Cocktail/Coffee Table Plan coming soon! Queen High Storage Bed Woodworking Plans for only $11.95! The plan is also available in king, double and twin size. Mate's Bed and Bookcase Headboard Plans for only $8.95! Click here to view the new queen size version of this plan! Harvest Table and Mission Chairs Plans for only $10.95 includes FREE taper jig plan! 90 Gallon Aquarium Hood and Wooden Stand Plans for only $9.95! Click here to view more aquarium cabinet woodworking plans! 3-Piece Corner Computer Desk and Hutch Woodworking Plans for only $15.95! Here's a preview of more woodworking plans. Make sure to BOOKMARK US and check periodically. 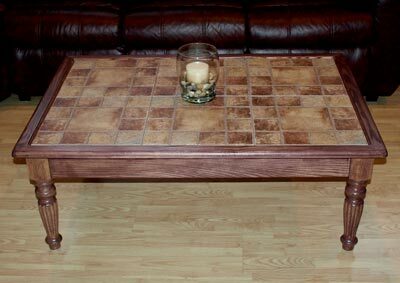 We will be adding more woodworking plans soon! Because most of our woodworking plans use simple joinery techniques, beginner woodworkers find our projects relatively easy to build. All of our woodworking plans include photos, exploded views, detailed CAD drawings, optimize cutting diagrams, and a complete materials list. You can easily download our PDF plans in just a few clicks of the mouse and start building today! Make sure to have the latest version of Adobe's Acrobat Reader. You can get your free copy by clicking on the banner on the left navigation bar. If you are not sure, try downloading a free woodworking plans.